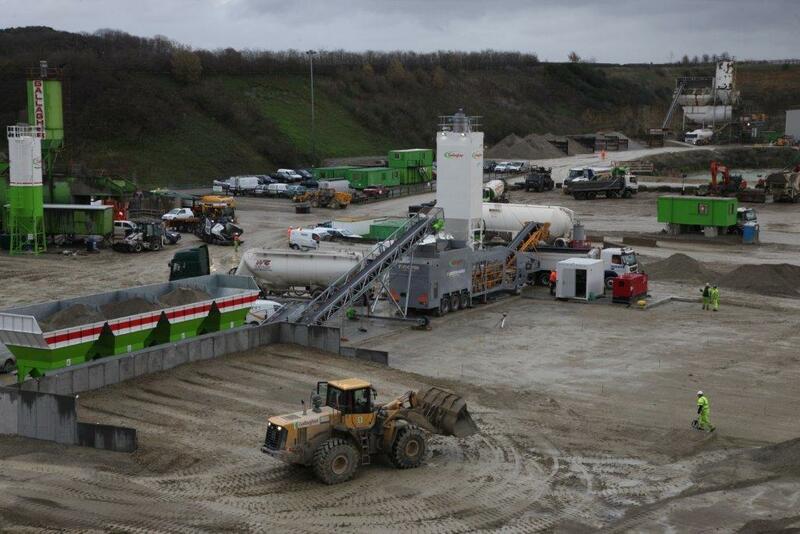 Rapidmix Mobile Continuous Concrete Mixing Plant Enables Reuse of Waste Fines for Gallagher Group. 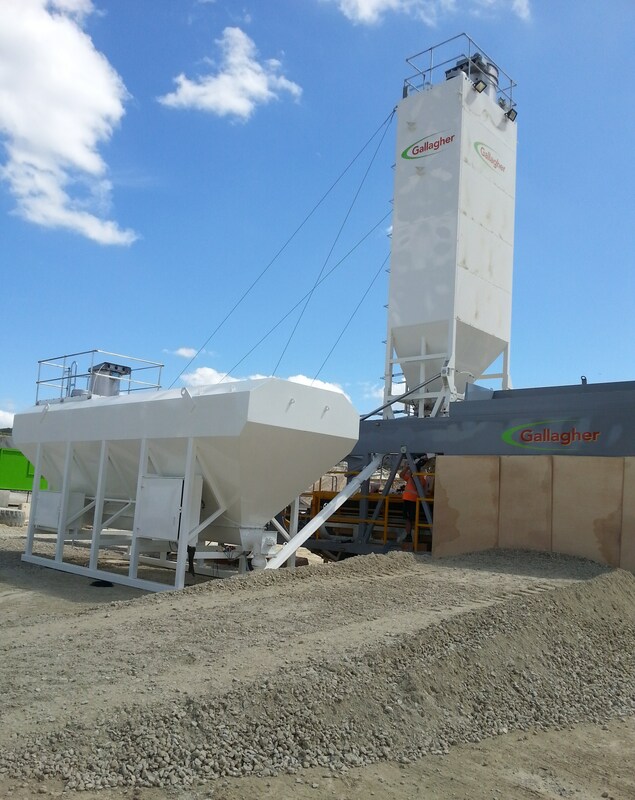 County Armagh, Northern Ireland, 25 February 2016 – Rapid International Ltd (County Armagh) has recently supplied Kent based Gallagher Group with a new Rapidmix 400CW mobile continuous concrete mixing plant. 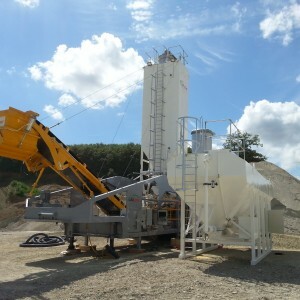 The Rapidmix machine is operated primarily at the group’s Hermitage Quarry site and is also utilised on location if haulage presents an issue. Established in 1973, privately owned Gallagher Group is one of Kent’s leading Building, Civil Engineering, Aggregates and Property Development companies. Having previously purchased a 3m3 Rapid pan concrete mixer for installation in a concrete batching plant system, the company was already confident in Rapid’s concrete mixing technology capabilities. 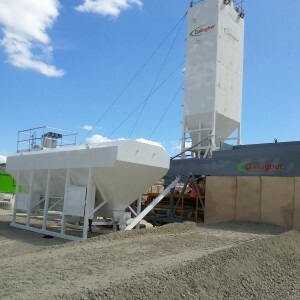 Gallagher’s Rapidmix plant is employed in the production of the company’s ‘Gallapave’ range of HBM (Hydraulically Bound Material) and RCC (Roller Compacted Concrete). HBM is used as sub-base and base course to replace traditional capping layer, type 1 sub-base and tarmacadam base course in road construction. The benefit of HBM is the reduction in road digging. This is in turn leads to reduced costs as less soil requires excavation and transportation to landfill. In addition, Geotextile membrane isn’t required. RCC is a semi dry concrete product that is a wearing surface used where strong pavement is required to stand up to massive loads and specialised equipment. Airport runways and aprons are particularly suited to RCC. RCC is also typically used for parking, storage and warehouse floors, container storage & handling, port pavements. RCC offers high flexural strength, doesn’t require forms or finishing and is fast and economical to produce. Semi dry mixes, such as HBM and RCC, are typically less economical to produce in a conventional static concrete batch plant. 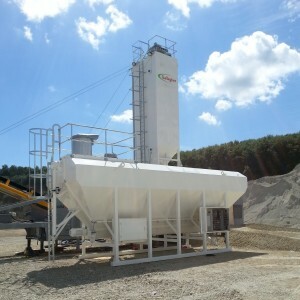 The Rapidmix mobile continuous mixing plant solves this problem as it is specifically designed for semi dry mixes, ensuring a high output of high quality homogenous material at all times. The on board high speed Rapid Twin Shaft mixer contains chill cast steel mixing paddles which are intermeshed in a specially phased relationship to optimise mixing action, whilst maximising throughput. 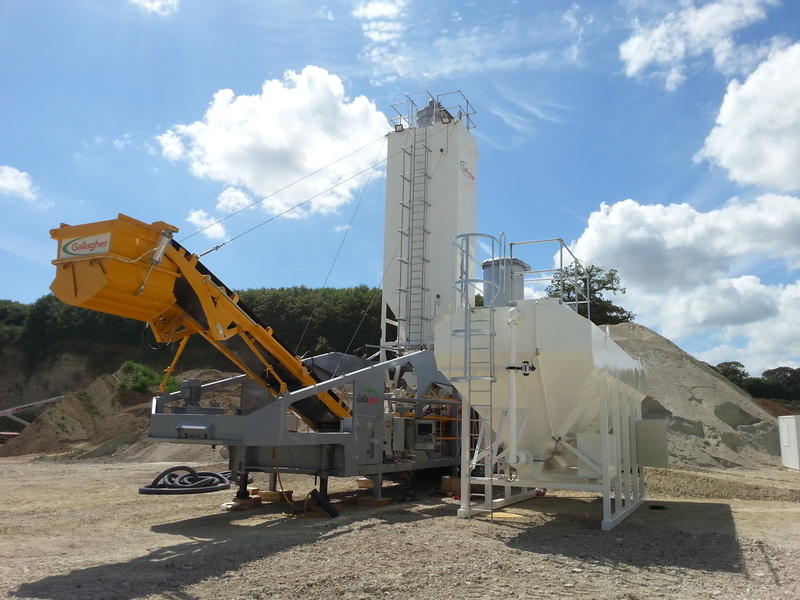 The new Rapidmix 400CW plant produces high quality controlled mixtures for utilisation in a range of Civil Engineering applications – from airport runways and contaminated land treatment to dam construction and soil stabilisation. 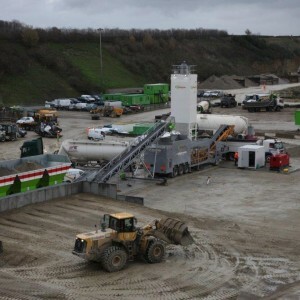 The mobile nature of the plant combined with the technically advanced design is most advantageous in meeting the supply and demand requirements on projects. The Rapidmix 400CW provides a cost effective solution for projects where high specification compliance coupled with a high volume fast throughput are critical. Gallagher Group is one of Kent’s premier Building, Civil Engineering, Aggregates and Property Development companies, Gallagher is passionate about providing the highest standards in everything they do. The company’s focus is on delivery – they are fast, efficient and reliable. 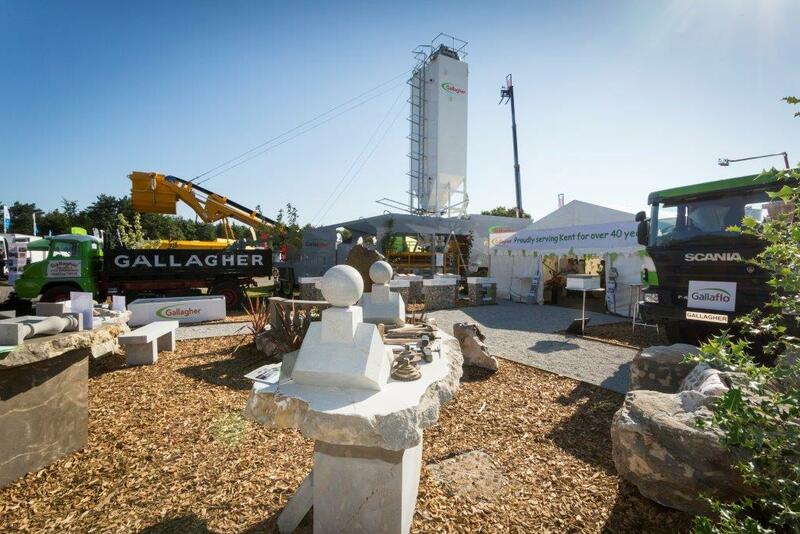 Gallagher Group have an enviable reputation built over 40 years, with the efforts and imagination of a dedicated team of managers, technicians and operatives who are supported by investment in the best plant and equipment. The company builds lasting relationships with its clients, suppliers and other stakeholders. 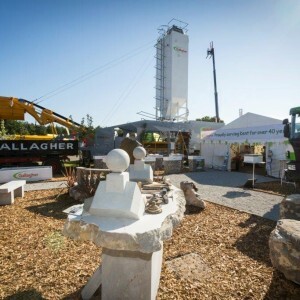 Gallagher Group strive to improve the environment in which they are proud to live and work, continually ensuring effective management of its own impact on the environment, preventing pollution and reducing any adverse consequences of the Group’s activities. Address: Gallagher Group, Leitrim House, Little Preston, Aylesford, Kent, ME20 7NS.